I cannot help myself; I am one of those guys who track all web pages and news articles that talk about kosher wine and Israeli wine. So, I was excited to see an article recently about kosher wine, titled kosher wine is kosher in Israel that was written by the Indian Wine Academy. The article had some serious issues that made me really unhappy. Kosher wine already has enough perceived issues – it does not need more stupidity and ignorance. I am sorry if I am coming at this too harshly but it really bugs me! My post on kosher wine is the top hit on Google for kosher wine and it covers all locals and issues with kosher wine. The article by the Indian Wine Academy has a somewhat harsh slant on kosher supervision and worse; it has many incorrect statements on kosher wine production. My many comments below will not make sense if you do not brush up on the many aspects of kosher wine, which I cover in my Kosher 101 blog. This is not the only article with incorrect information about kosher wine. Another example is an article about the way that Capcanes makes kosher wine. Again, the information is incorrect, as it was pulled from Daniel’s book and the issues in Israel do not relate to Spain (where Capcanes exists) or America, except for Orlah – which is easily handled. Actually, this is categorically WRONG! Women who are Orthodox may work in the winery and in the wine making process. So you may ask – prove it! Sure, I called Rabbi Nachum Rabinowitz, the Senior Rabbinic Coordinator, from the OU (one of the top kosher supervision organizations). He said there is NO issue with an orthodox woman working in a winery – PERIOD! then stated that the Mashgi’ah‘s (kosher wine supervisor) gets paid by the winery. Actually, the supervisor is NOT paid directly by the winery. The winery pays the supervision company and they pay the Mashgi’ah. This limits the potential for conflict of interest. This may sound like a small issue – but it is NOT. It is a Chinese wall that protects both the supervisory agent and the winery. then stated that touching a barrel or vat, no matter the financial impact, renders the container non-kosher. Actually, this is true, but I need to add a caveat, that if a non-orthodox Jew touches a closed barrel or vat – there are NO issues. The vat or barrel must be open for issues to arise. Further, the wine needs to move – which is rather complicated in a vat that is attached to the ground or a barrel that is rather heavy. That said, the rules are the rules and it is best to follow them to the T.
then stated that mevushal process can affect the aroma and flavors of a wine. While I agree, for the most part, that the mevushal process ruins many a wine, there are many wineries that do a very good job of mevushal – like Herzog, Hagafen, and even Shiloh Winery. That said, I agree that mevushal wine, not made by one of these exemplary wineries, should be consumed with a year of bottling. Actually, the 7th year, also called Shmitta, where the land lays fallow every 7 years, applies only in Israel. Further, there is no law, in the present day that mandates anything special during the 3rd year. Actually this may be the case but it is not necessary. One can buy the chips and powder from the same place that they buy their barrels. So there you have it! My rebuttal to a few weird and highly mistaken kosher wine law fallacies! 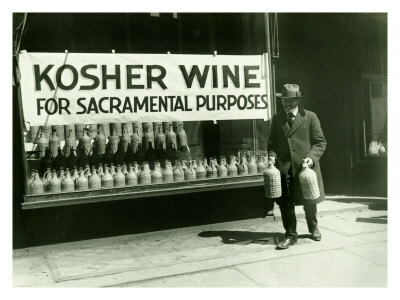 Please spread the word – kosher wine is not that hard to make! It is because of uninformed writers like this that kosher wine gets a bad rap – that is NOT deserved! Posted on February 22, 2012, in Israel, Kosher Wine, Wine. Bookmark the permalink. 7 Comments. FYI all information in the article you quote from Catavino is 100% correct for the winery and the method they make the wine in Spain. We were attacked when we wrote this by many people who told us we were wrong, until we got a public apology from both Daniel Rogov and one other Rabbi who had initially called us out. Turns out there are some “extreme” kosher practices out there, and in Capçanes they practice this. Including the fact that you are NOT allowed to even see the wine. If you go there you will see it in person. All tubes wrapped in tape to ‘hide the wine’. When this first was published my wife and I were attacked by the Kosher wine community and eventually received a full apology when they all realized we reported 100% correctly, and the winery+rabbi’s in Spain were just following this insanely strict idea of what kosher was is. I have not been back sense, so I cannot say if they still do follow this, but I do not see any reason they would have changed. I was not commenting on the tubes being wrapped – that is a chassdic requirement that is weird but they do it. What I was commenting on, and is not correct was the usage of the rules that you took from Daniel Rogov’s (god bless his memory) book, about the kosher laws. The Shmitta law and tithing law do not pertain to land outside of Israel. That was what I was disagreeing with and I still disagree with. Daniel wrote his book for wines made in Israel. Capcanes, is not in Israel and therefore does not have these extra laws. Received a second email from Jurgen Wagner of Capcanes. Indeed, the policy is that none other than Sabbath observant Jews may physically see the wine until it has been bottled. As I have said earlier, this policy does not reflect at all negatively on the quality of the kosher wines of Capcanes but it does reflect on whomever it is advising them to this effect. By the same logic it would seem that when opening a bottle of kosher wine one would have to request that all non-observant Jews and all non-Jews turn their backs until the wine is poured. The question then remains, once the people have turned around and seen the wine, does that thus make it non-kosher? With apologies to rabbis and mashgichim the world over, this has got to be one of the most truly idiotic policies I have encountered in my not all that short life. does Kosher wine have any alcohol in it if not why does it have a high effect? Yes, kosher wine like most wine has alcohol. The alcohol comes from fermenting the sugar in the grapes, so it is innately kosher from that perspective.